Hi. My name’s Reed Bloodworth. 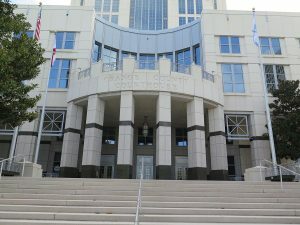 I’m a business litigation and estate and trust litigation attorney in Orlando Florida. Today I would like to talk about what happens when a father with Alzheimer’s wants to change his will. This is an estate and trust litigation scenario that I’ve experienced. The scenario is this. A father and son came together and formed a construction company. They ran this construction company together as father and son as partners for 25 years. In the last two years of the father’s life he was diagnosed with Alzheimer’s. Also a little time prior to that the son started a separate business a consulting business single member LLC. During the time period after being diagnosed with Alzheimer’s and prior to his death the father began accusing the son of stealing from the company. The problems continued when the father accused the son of stealing money, of stealing equipment, of starting a company unbeknownst to him competing against the partnership. And the father wanted to dissolve the partnership and eventually wanted to just keep it all for himself. And please recall this is all taking place while this gentleman had Alzheimer’s. This is when the father with Alzheimer’s wants to change his will. Sadly the father passes away. At the time of his passing the father had not instituted any litigation against the son pertaining to his allegations of theft and fraud and things of that nature. The wife of the husband and mother of the son in this scenario was named personal representative in the decedent’s will. Prior to his death his will was not changed. The mother and son were the beneficiaries of the will nor did the will address how the partnership was to be handled after the father’s death. Lawsuit Based on Allegations From Person with Alzheimer’s? The mother’s question in this scenario was can I bring a lawsuit based upon my husband’s allegations against my son and should I? Well the answer to the first question is yes. As a personal representative, the wife had the ability to bring a lawsuit against the son, if in her role of personal representative she believed that there were assets there that could be brought into the estate. However should she do that is a different situation. Her husband and the father of the son in that scenario had Alzheimer’s which ultimately is attributed to his death. So should the wife institute some type of lawsuit based upon the statements made of someone with severe Alzheimer’s? I would suggest probably not especially considering the will. As I said both the son and the wife were beneficiaries under the will. Instituting a lawsuit against one of the beneficiaries to bring assets into the will’s estate only to be redistributed to the son and the wife it doesn’t make a lot of sense. It could potentially be a breach of fiduciary duty by the wife. What Happens to Assets of the Partnership? The other question is well at that juncture is what happens to the assets of the partnership? Well the son and the wife could discuss that and make that decision on their own or they could pass the assets his share of the assets of the partnership could pass in the probate estate. But again there there’s different scenarios there that could be worked out. But the bottom bottom line here is should’ve the wife instituted a lawsuit against her son based upon statements made by her husband who had Alzheimer’s? Probably not in that scenario. So again my name is Reed Bloodworth. I’m an attorney in Orlando Florida. Give me a call. Let’s talk about what happened to you.